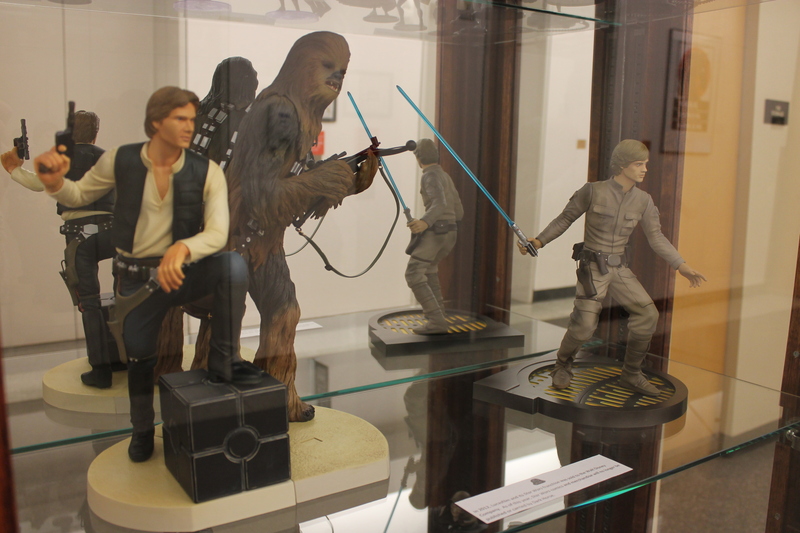 Home → Exhibits, News → We Love Dark Horse Comics! We Love Dark Horse Comics! Dark Horse Comics was founded by Portland State alumnus Mike Richardson in 1986 and has grown to become the third-largest comics publisher in the United States, with mutual ties to the film and television industries. In 1998, the company originated the Dark Horse Deluxe brand of merchandise, which includes models, toys, and collectibles from Dark Horse and other lines. Dark Horse also has developed a strong manga program through collaboration with Japanese manga creators since the 1980s. 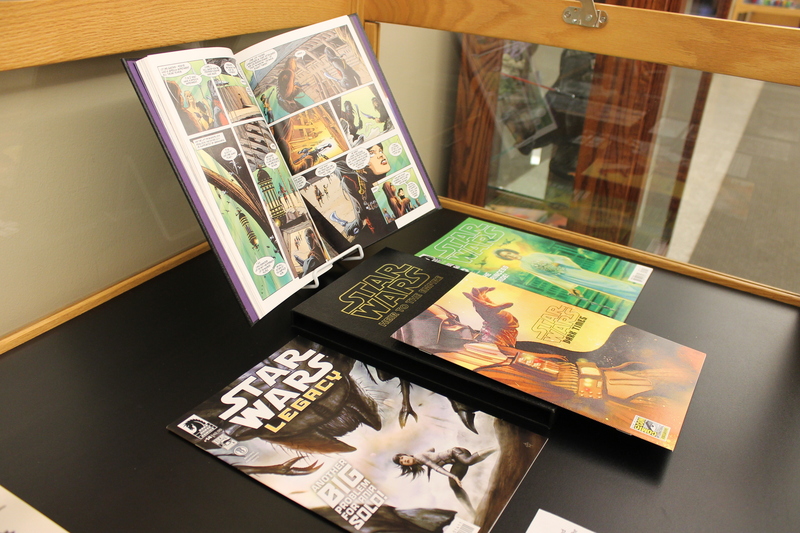 The Portland State University Library Dark Horse Comic Collection contains a browsing collection of all Dark Horse publications as well as a research collection of print materials and realia. 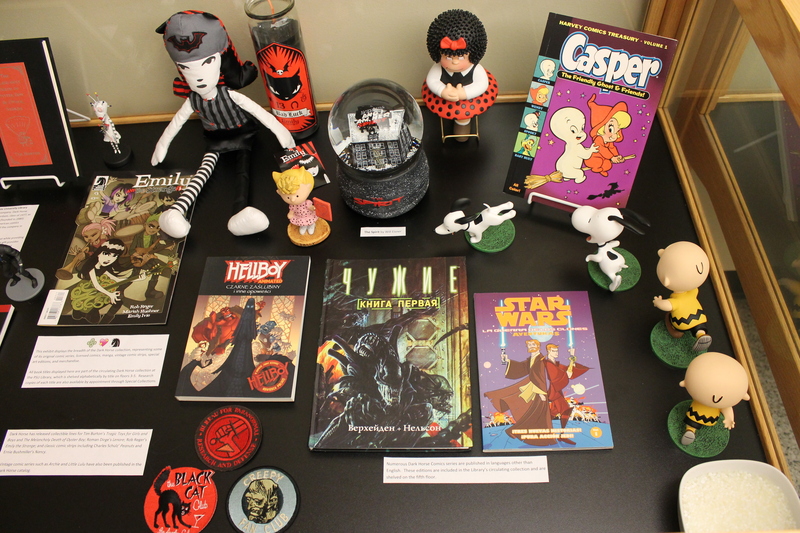 The exhibit from PSU Library Special Collections presents just a few examples from the wide variety of genres and formats represented in the complete Dark Horse Comics catalog, including original comic series, licensed projects, manga, and collectibles. View the exhibit on the Library’s first floor, and then check out your favorite Dark Horse titles from the browsing collections on the Library’s third, fourth, and fifth floors. 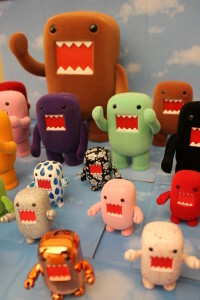 Above: “Dark Horse, working with Big Tent Entertainment and the NHK broadcasting corporation, brought Domo-kun, a popular Japanese cult-icon character, to the United States, with a series of products ranging from Qee figurines to journals and stationery sets. 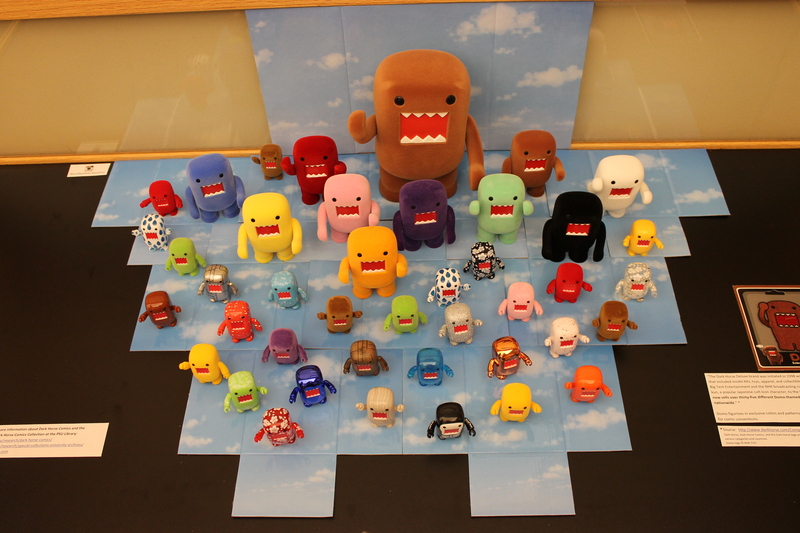 Dark Horse now sells over thirty-five different Domo-themed products” (via Dark Horse Company History). Above: In 2007, in conjunction with series creator Joss Whedon, Dark Horse launched Buffy the Vampire Slayer Season 8, which continued the story from the television series. 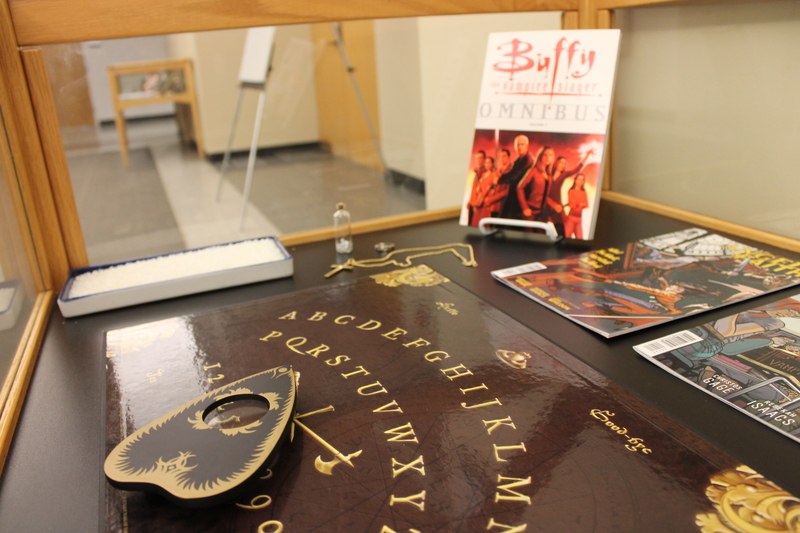 Merchandise included Buffy mugs, pint glasses, a “Conversations with Dead People” Board (also known as a ouija board), a vial of “holy water,” and a cross necklace for fending off vampires. Dark Horse has released collectible lines for Tim Burton’s Tragic Toys for Girls and Boys and The Melancholy Death of Oyster Boy; Roman Dirge’s Lenore; Rob Reger’s Emily the Strange; and classic comic strips including Charles Schulz’s Peanuts, Ernie Bushmiller’s Nancy, and Harvey Comics Casper the Friendly Ghost. Above: Dark Horse launched Star Wars comics in 1990. “While licensed projects had been around for decades, most publishers devoted few resources to titles they did not own. Dark Horse took a different tack by plotting stories and using top talent to create comics series that were essentially sequels to popular films” (Dark Horse Company History). The exhibit will be on display through May 1, 2015. The research collection, which contains one copy of every Dark Horse comic book, graphic novel, collected edition, book, print, poster, statue, figure, and all other products, is available by appointment in PSU Library Special Collections for scholarly use.